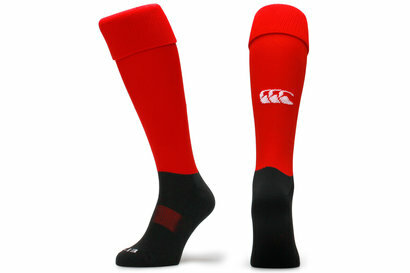 You can't beat a good old pair of socks so kit yourself out in a pair of these CCC Plain Rugby Playing Socks. 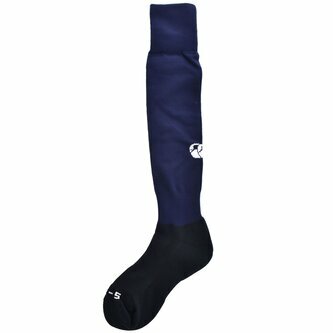 Made by Canterbury from nylon, polyester, elastane and rubber, a soft and comfortable feel is assured over the leg during any form of activity. 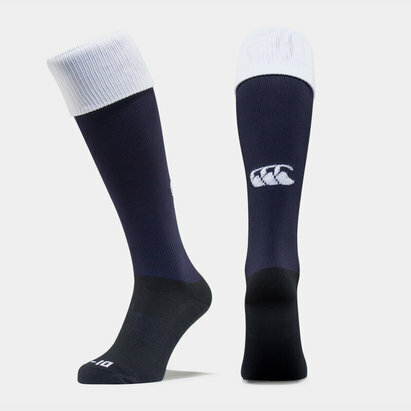 Presented with navy on the leg and a black foot, the Canterbury logo decorates the back of the calf to create a great look as part of your rugby kit.